Are you looking for a good organizing project for the summer – maybe something that will give you an excuse to stay inside and avoid the heat (or rain, if you live anywhere near me?) Try these simple summer paper tamers. They’ll help you dig out of any paper backlog left over from the past school year, and help you get ahead of the game for the next one. Whether your photo backlog is electronic or printed, now is a great time to catch up on photo organization projects. If you have kids home from school, they can help you sort and organize photos, and get them into photo albums. 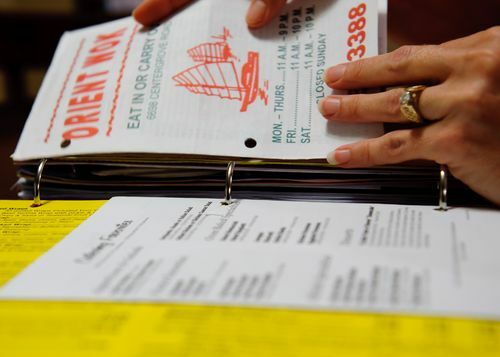 Clean out your home management binder. Declutter old schedules, lunch menus, classroom policies from last year’s teacher, and any other expired or no-longer relevant paperwork. While you’re in there, do a sanity check on the tab categories to make sure they still work for you and the paperwork in your Home Management Binder. Sort through any paperwork pileups of homework, artwork and classroom notices. Keep favorite pieces of artwork and a few representative examples of schoolwork in a three ring binder or file box. Feel free to recycle the rest, with your child’s buy-in. Get a jumpstart on registration. Download school registration forms from the school’s website now, and fill them out gradually in the weeks leading up to school registration. 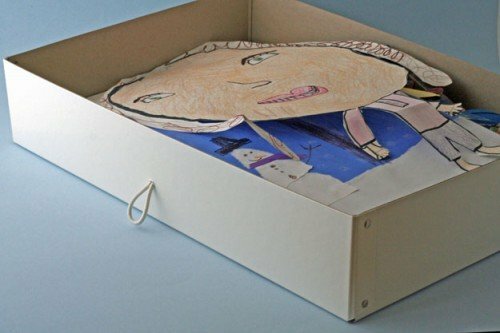 Create an incubator for next year’s school papers and artwork. An incubator is simply a designated holding spot for completed school work and artwork. (I use a bin on a shelf in my laundry room.) This will help prevent an unintended paper pileup next year, and give you time to make thoughtful decisions about what paper to keep and what to discard. The best part is that each of these projects can be tackled a little bit at a time, which means you don’t have to miss out on any summertime fun. What paper organizing projects are on your to-do list? I am definitely in need of sorting through photos. I have tons of duplicates, and they must go. Then I’ll have a better handle on what needs to be scrapped. Yesterday, dh and I cleaned the garage– tossed, reorganized, & swept til I had blisters on my hands. But OH! That area looks wonderful! What is the box that you show pictured for your artwork incubator? Where can I find something like that?